At 10am 14 November 2017 NZST, millions of people around the world suddenly had high blood pressure. This will come as a shock to many and may precipitate a crisis in hand-wringing and other odd behaviours, like overmedication and jogging. The American Heart Association and American College of Cardiology have just announced a redefinition of High blood pressure. Announced at the annual American Heart Association conference, this is bound to cause some consternation. 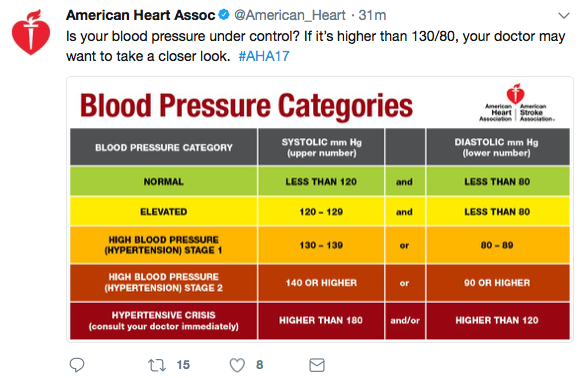 It shifts 14% of the US adult population into the “High blood pressure” category and I estimate that it will do something similar for the NZ population meaning half a million New Zealanders who didn’t have High blood pressure at 9am now have high blood pressure (assuming NZ cardiologists follow their US colleagues). While this is, of course, absurd. It also highlights the seriousness with which the cardiologists take elevated blood pressure – maybe we all should take it a bit more seriously, perhaps park the car further from work and walk a little (likely to be cheaper too). 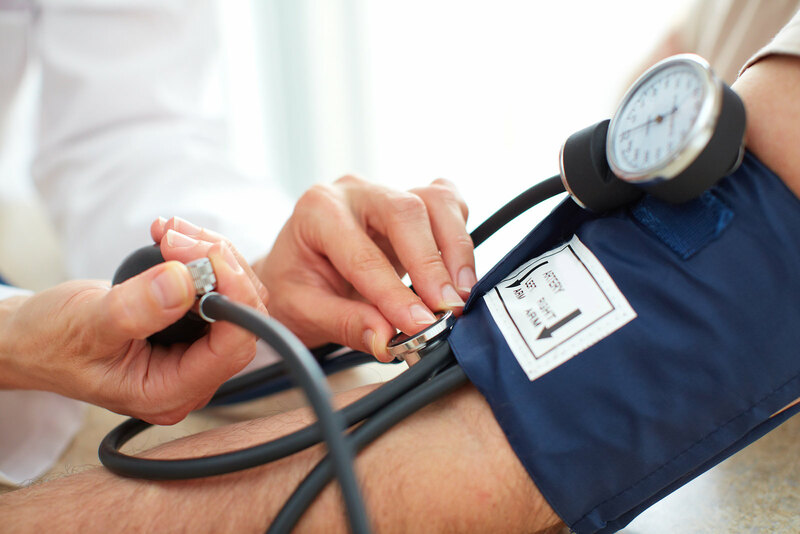 Have you got high blood pressure? (c) American Heart Association.